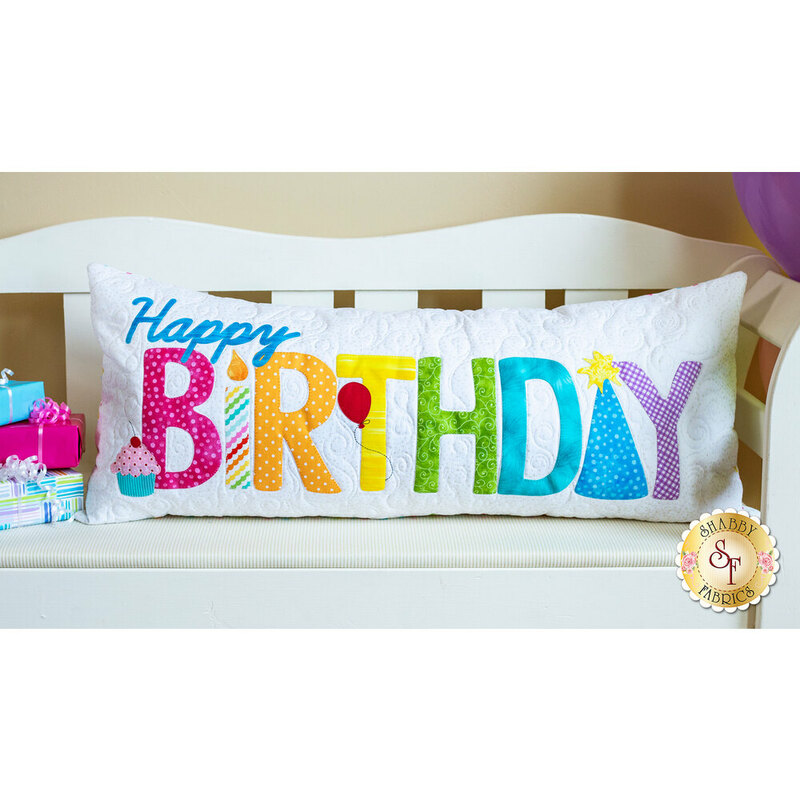 Celebrate your friend or family's special day with this super cute and BIG birthday themed pillow! 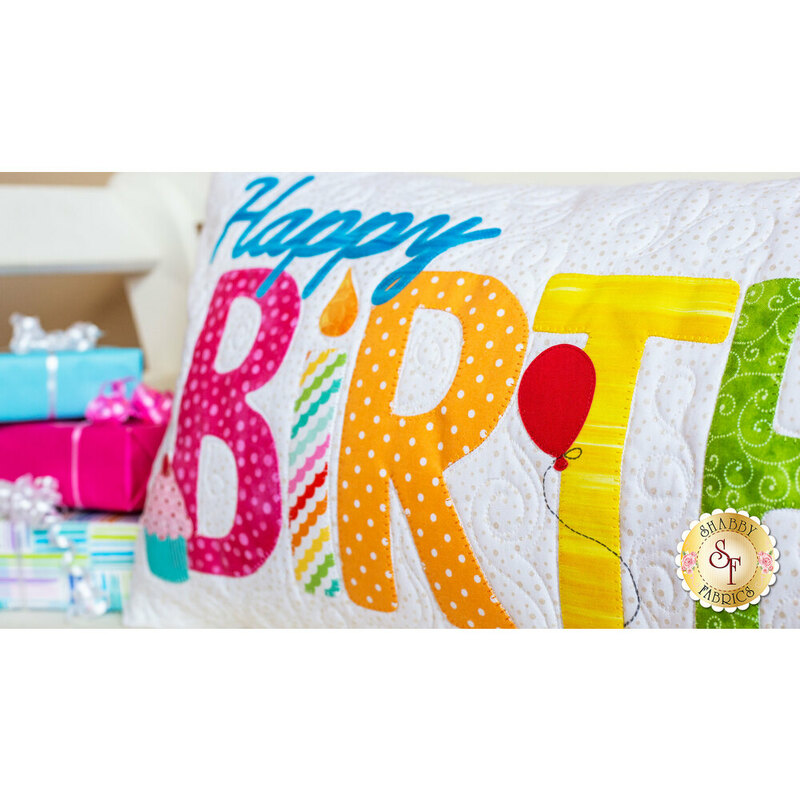 This Shabby Exclusive design features an envelope opening in the back so the pillow form is interchangeable. 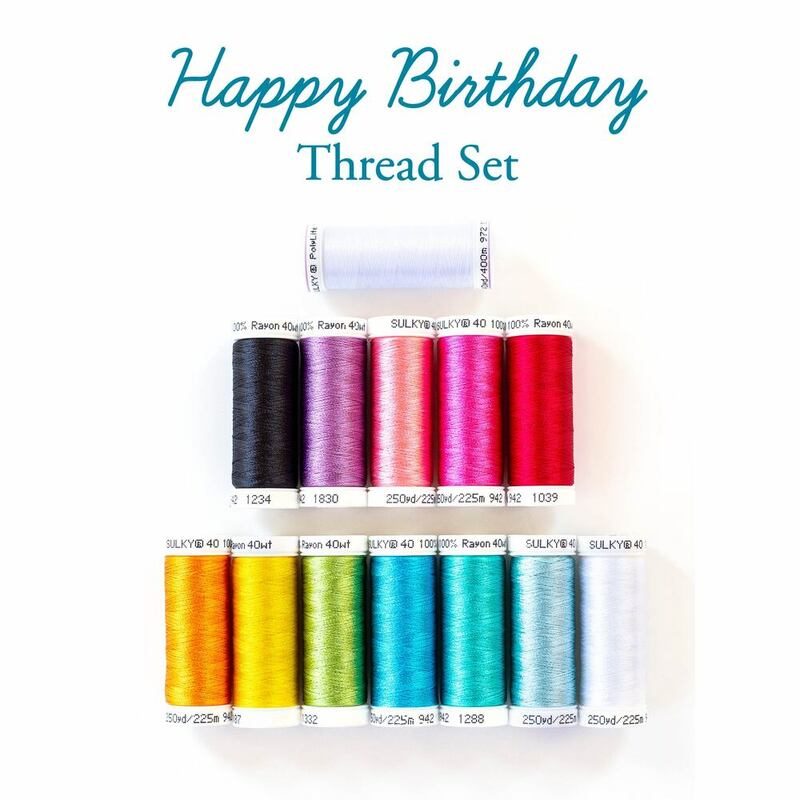 Decorate with the coordinating Cupcake Placemats Kit, Cupcake Wall Hanging Kit, Happy Birthday Wall Hanging Kit, Patchwork Birthday Table Runner Kit, and Happy Birthday Pennant Banner Kit! Finished size is 3 FEET LONG X 15" high. Pre-Fused & Laser-Cut Applique Pieces. 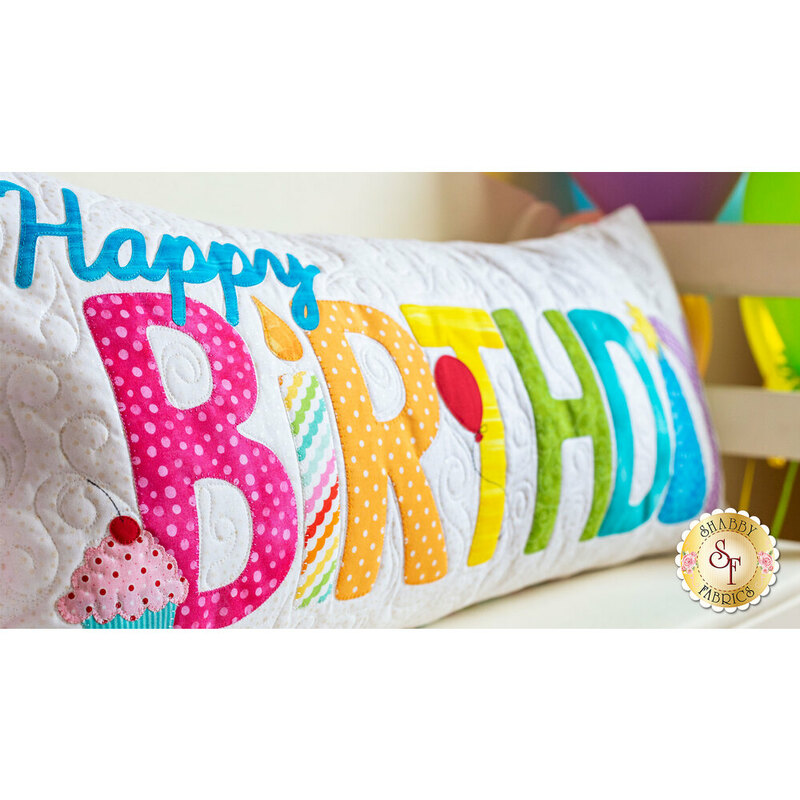 PLEASE NOTE: The pillow form is made with 1 yard of muslin and a bag of poly fill which are not included, however, there are instructions in the pattern for creating the pillow form.